On Mother’s Day I went to CVS and Walmart with the family. We got errands done and after nap-time we had a great time at the park. 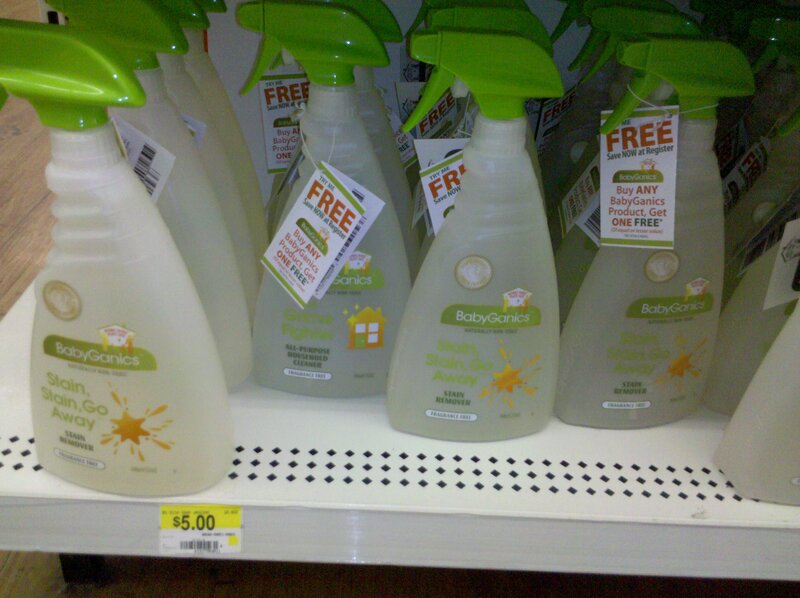 I hadn’t heard of Babyganics before and I noticed it on this shelf at my Walmart for $5 and I confirmed that the Stain Stain Go Away is $5 and the All Purpose Cleaner is $3.50 PLUS they come with a Buy One Get One For FREE coupon on the bottle expires 12/31/10. So in two transactions I did 2 Stain Stain Go Away for $5 (that is $2.50 each) and 2 All Purpose clean for $3.50 (that is $1.25 each). Not a bad price for organic cleaners! I can’t wait to try them out. It seems there are a lot of red stickers all over my Walmart so check it out. 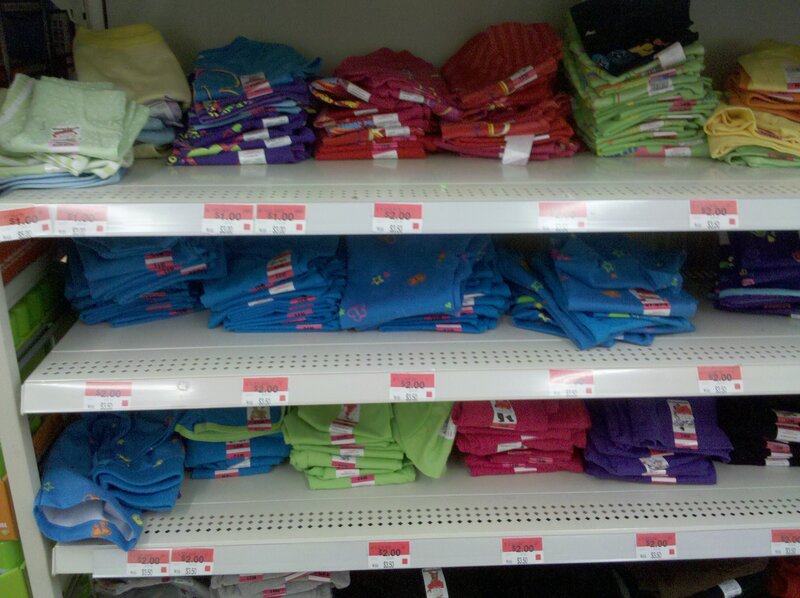 I found these kids clothes including t-shirts, shorts and leggings for $2 or less. I’m a huge fan of washcloths because you can use them for just about anything. 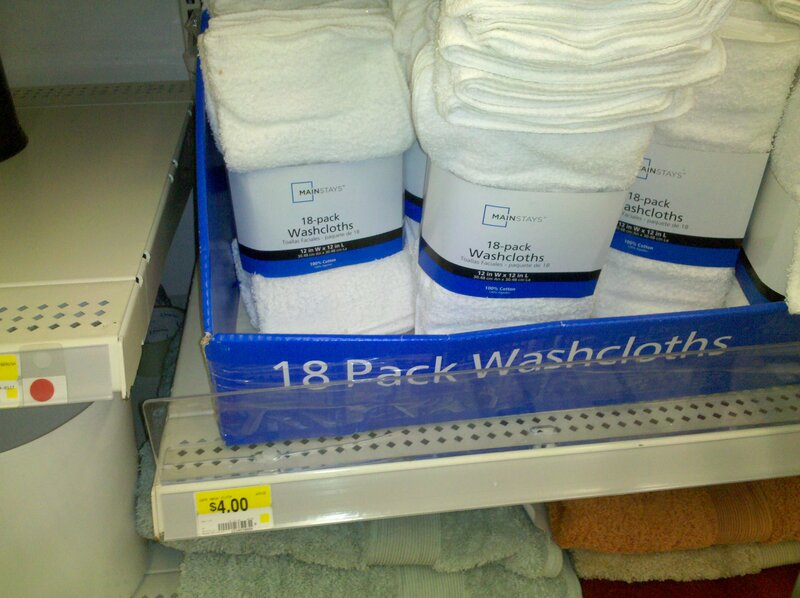 Walmart’s price has “roll back” the price. It used to be $5 and now it’s $4 for 18. I use them to clean my daughter’s hand and face after she eats, use them to clean up the bathroom, use them to wash/dust the car, and so much more. What other deals have you found at Walmart?